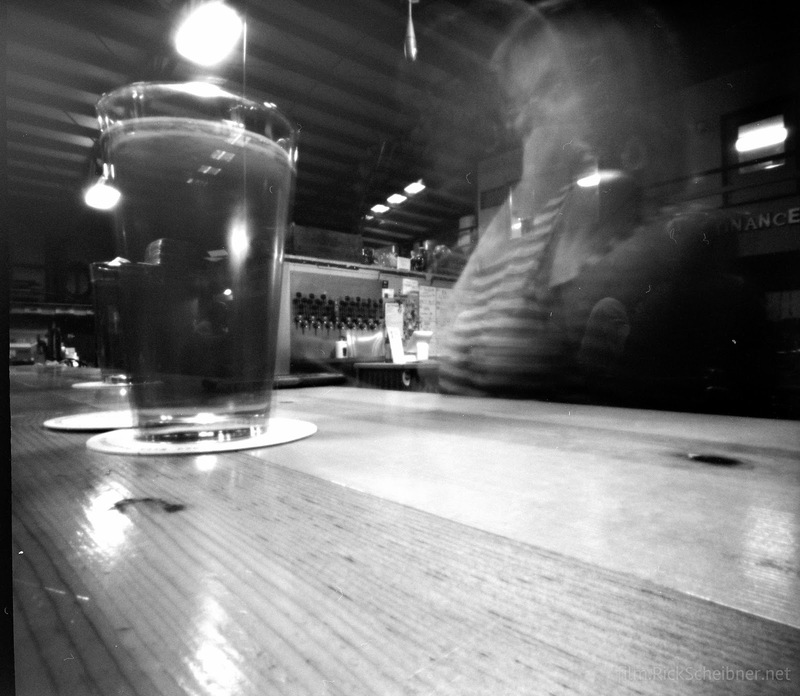 Fuji Acros 100 in a Zero Image 618 pinhole. My exposure settings were just by gosh and by golly, and I figured I would stand develop to realize as much of the image as possible. Negatives were really, really thin, but I managed to squeak these out of the deal. 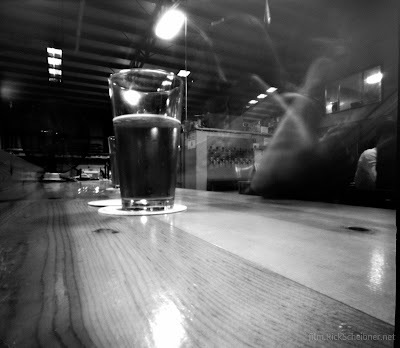 Perspective is everything in pinhole photography. It's probably been said before, but let that one ring from the mountain tops. The above image was shot with my Zero Image 618 sitting on the table, positioned horizontally. This image above was taken from the same spot, still sitting on the table, but this time situated vertically, so that this time the pinhole is a few more inches above the surface of the table. It makes a difference. To me, this is a stronger image because the foreground is much less in your face and less pronounced. The top image might be a better choice if there were some peanuts or other small items placed directly in front of the camera. This hot mess was the result of a double exposure. Even though the negatives were pretty thin, I was pleasantly surprised with the amount of detail to be had in the darker areas of the image. Deepest shadows are, of course, completely black. 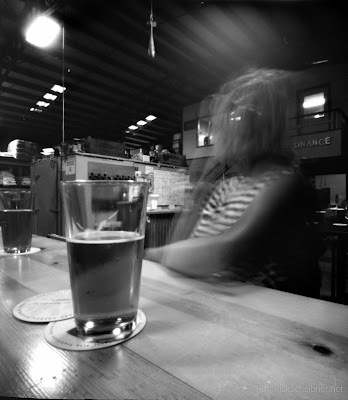 This was a pub establishment set up in a warehouse microbrewery. Lighting was mostly artificial light from the ceiling level, with a few decorative lights closer to ground level. 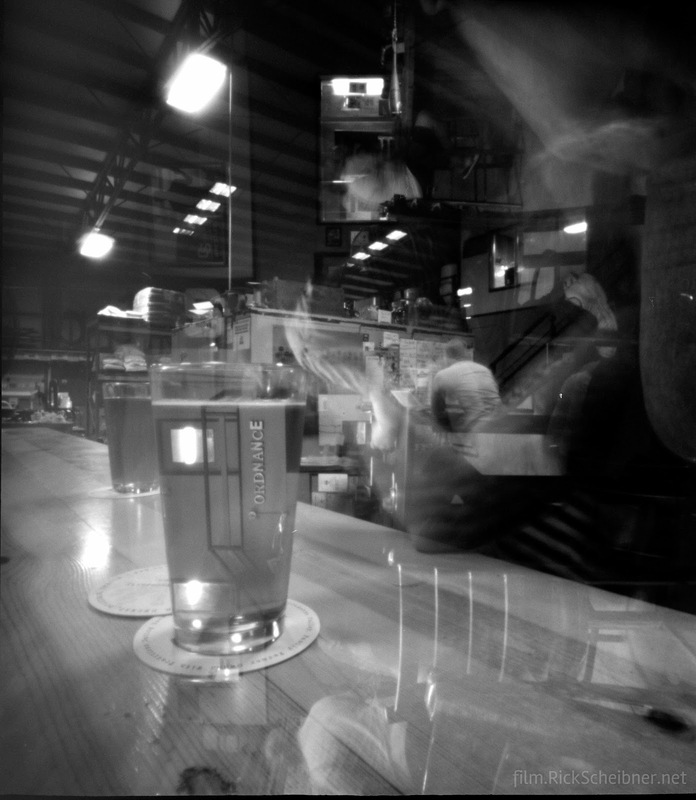 That is some nice work with the pinhole. I often use Acros with Rodinal, but have never tried it with stand development; it certainly makes sense with low light pinhole work. Thanks for the comment, Mike. I was pleasantly surprised at the results I got here, especially after seeing the (very thin) negatives come out of the rinse cycle. Acros ends up working well because of its reciprocity characteristics. I think these exposures were only about 15 seconds or so, IIRC.